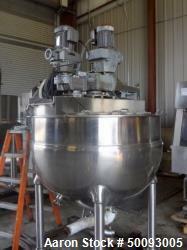 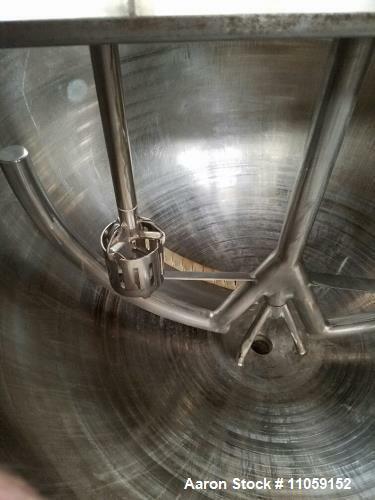 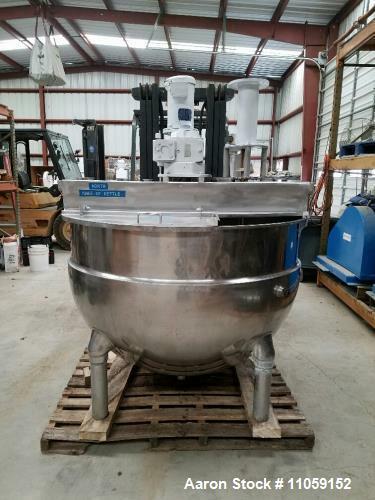 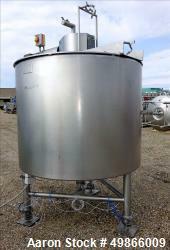 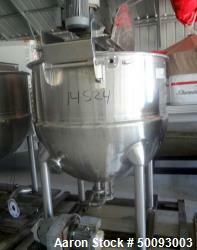 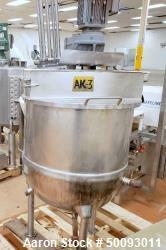 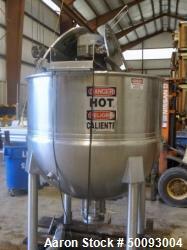 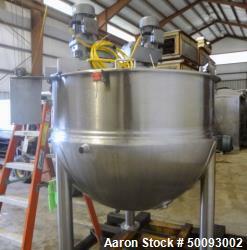 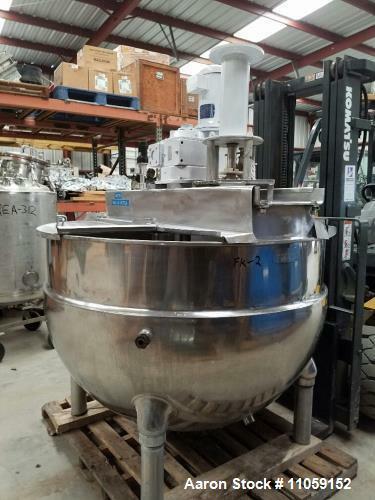 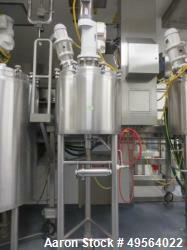 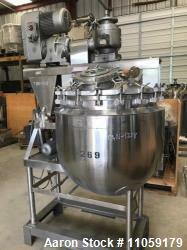 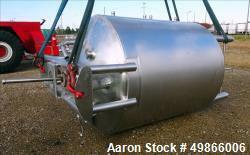 Used- 250 Gallon Groen Jacketed Mixing Kettle, Model NEM-250. 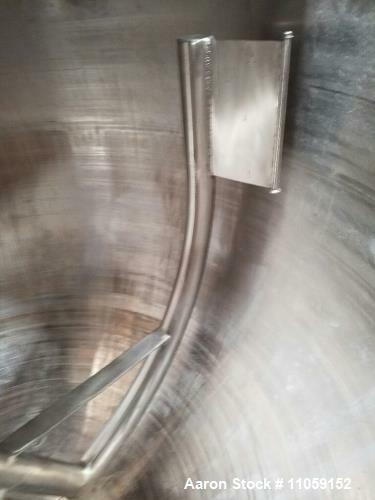 316 stainless steel construction. 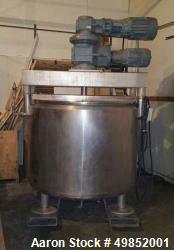 54" diameter x 37" deep. 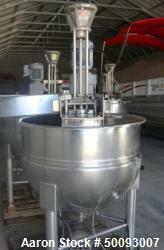 Has sweep mixer with scraper blades and Admix Rotosolver high shear mixer Model 112RS133 (Rotosolver requires motor). 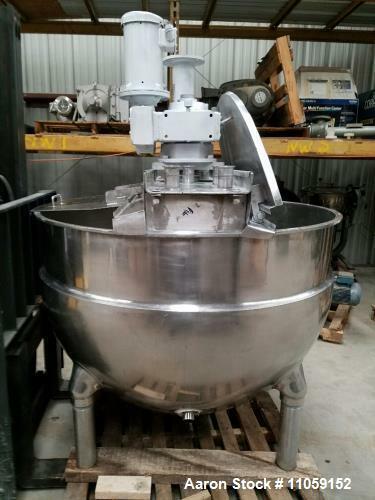 Sweep mixer driven by 3 hp, 208-230/460 V, 1725 rpm motor. 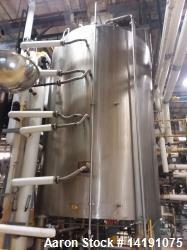 Jacket rated 100 psi at 338 degree F. Previously used in sanitary application.